On Lindsay Lohan's Beach Club Season 1 Episode 12, Lindsay prepared to announce her final four ambassadors, but how wrong did it go for them? 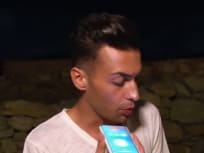 "Mike Takes It Too Far "
"I Would Rather Be Anywhere But Here Right Now"
On Lindsay Lohan's Beach Club Season 1 Episode 10, Panos set out to try and fix things between the ambassadors, but is it too late for them? On Lindsay Lohan's Beach Club Season 1 Episode 9, Nico Tortorella stops by and everyone tries to get close to him, prompting Lindsay to fire some more people. 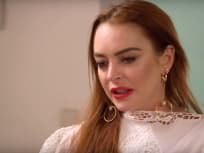 On Lindsay Lohan's Beach Club Season 1 Episode 8, Lindsay worried that Kaylah and Brent were trying to destroy her brand and took swift action. On Lindsay Lohan's Beach Club Season 1 Episode 7, Lindsay found herself at odds with her ambassadors after she sent one of them home. Who went home? 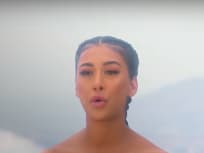 On Lindsay Lohan's Beach Club Season 1 Episode 5, Lindsay had to step in following Jonitta punching Gabi, but did she send either of them home? 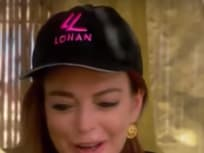 On Lindsay Lohan's Beach Club Season 1 Episode 4, Lindsay is forced to step in when Brent continues to be unpredictable, and Panos wants rid of him. 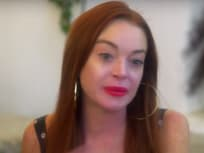 On Lindsay Lohan's Beach Club Season 1 Episode 3, Lindsay realized some of her staff were causing trouble for the others and set out to find the culprit.